"Quench not the Spirit. Despise not prophesyings. Prove all things; hold fast that which is good." (1 Thessalonians 5:19-21, AV) This fundamental principle should underpin any approach to assessing prophecies uttered today. Those who deny the possibility of God giving prophecies today deny this clear injunction, as do also those who accept all utterances uncritically. Prophecy is important to the church: New Testament prophets (Ephesians 2:20 with Ephesians 3:5) stand alongside the apostles as the foundation upon which the church is built. Scripture leads us to expect genuine prophecies concerning current events because "Surely the Lord GOD does nothing, without revealing his secret to his servants the prophets (Amos 3:7, RSV). There are two directions in which prophecy may be mishandled: on the one hand we may wrongly a miss, ignore or reject a message which is genuinely from God. Alternatively we may accept as genuine a message which was not from God. It is equally important to avoid both errors, since mistakes of either kind can be destructive. We must make a carefully balanced assessment. Testing prophecy properly is important for everyone: it is not something which can be left to prophecy enthusiasts. Whenever anyone hears a prophecy, he becomes accountable to God for the way he handles it. It has become fashionable in some christian circles to circulate written transcripts or tape recordings of prophecies. These are usually difficult, and often impossible, for the recipients to assess. The conditions which need to be fulfilled if such prophecies are to be capable of assessment require special examination. This paper examines the scriptures to derive general principles for assessing prophecies. 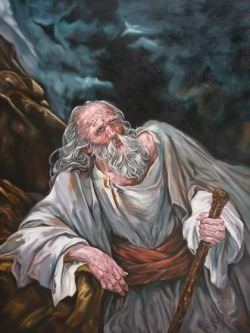 The earliest recorded prophecy is by Enoch in the seventh generation from Adam (Jude 1:14-15), a prophecy which, with its emphasis on God's judgment of sin, is prototypical of all biblical prophetic content. However, formal teaching on the assessment of prophecy was not given before the Law of Moses. Moses knew that prophecy always presents hearers with the fundamental problem of whether they should believe it or not. Moses recognized this problem when God called him (Ex 4:1-9), and for this reason God gave him a set of signs to perform. Signs continued to form part of the true prophet's testimony all the way through the biblical record. Jesus himself relied on the signs he performed as a clear testimony to the validity of His claim to be the Messiah (Matthew 11:5). But signs alone do not provide sufficient testimony that the prophet is from God. There are many scriptural warnings against lying (i.e. deceptive) signs (e.g. Matthew 24:24; 2 Thessalonians 2:9). Moses warns against such false prophets in Deuteronomy 13. Signs are not self validating: the issue is what gods the prophet is speaking for, and encouraging people to serve. (Deuteronomy 13:2). False prophets put their emphasis on establishing their authority through their signs: the true prophet is more interested in conveying God's message. Strong measures must be taken to remove those who seek to seduce God's people to serve false gods, as detailed in the rest of Deuteronomy 13. Deuteronomy 18 The Deuteronomy 13 case, where a different god is being explicitly invoked is straightforward to recognize and deal with. More complex is the situation where the prophecy is given in God's name but without his authority (Matthew 7:21-23). Moses provides the principles for testing such prophets in Deuteronomy 18. Moses tells the people that God will raise up a prophet like himself, and warns them that they must listen to that prophet under penalty for disobedience. (Deuteronomy 18:15-19, Acts 3:22-23; 7:27, cf. 2 Chronicles 20:2). On the other hand, the prophet who presumes to speak in God's name without authority is to die (Deuteronomy 18:20). This penalty should have been sufficient to give those who knew they were telling lies a strong incentive to keep quiet! But such penalties never deter false prophets who are themselves deceived: deceived people are the most convincing propagandists, and so are particularly dangerous. They must be removed if other people are to be spared from deception. Naturally this raised the question of how people are to know whether the prophecy uttered in God's name is valid (Deuteronomy 18:21) - the proof was whether the word comes to pass or comes true. If it does, the prophet was of God, otherwise the prophet was not to be "feared". Moses required this proven false prophet to be put to death (Deuteronomy 18:20). The christian equivalent is that such a false prophet should never be listened to as a prophet again; if there is no repentance about having deceived the church, the false prophet should also be barred from fellowship, in order to secure the safety of others (cf. Titus 3:10-11; 1 Timothy 6:3-5; 2 Timothy 2:16-19; 3:6- 9; 4:15; 1 John 4:1-6). Consistent application of this principle would rid the professing church of most false prophets. Sometimes God intervenes Himself where the false prophet puts the reputation of His true prophets at risk: Hananiah in Jeremiah 28:1-12 willfully opposed Jeremiah, so the LORD removed him from the face of the earth, and in so doing confirmed Jeremiah's authority (Jeremiah 28:15-17). It should be noted that wherever there is false prophecy, God has played a deliberate part in deceiving the false prophet. He does it because the initial attitudes of the prophet and those who seek a message from him are wrong (Ezekiel 14:9-11, esp v9; 2 Timothy 4:3-4). Both prophet and hearer alike will suffer the consequences (cf. Jeremiah 14:14-16). The prophet is required to pass the test of fulfillment consistently (Jeremiah 20:10). This requires an on-going, thorough knowledge by the community into which the prophet is placed, of all his prophecies and their results. Moreover, for this testing process to be meaningful, prophecies must be given in a form which makes them demonstrably true or false. Some false prophets try to avoid being tested by making vague or indefinite statements which are capable of a variety of interpretations: this in itself provides prima facie evidence that the prophet is false. Moses said (Deuteronomy 18:22) that the prophet was true if what he said came to pass. Therefore Moses must have expected that in the case of a "new" prophet, at least some part of what the prophet said would come to pass immediately. Otherwise, the people would have no way of knowing whether they should take notice of a "new" prophet: such a person does not have an established reputation for reliability. If God is to entrust a new prophet with important prophetic messages to other people, his initial prophecy must firmly establish his credentials. Good examples are the first prophecy of Elijah (1 Kings 17:1) and the word of the unnamed prophet at Bethel (1 Kings 13:1-5): in both cases they made predictions of immediate effect, and over which they themselves clearly had no direct control. As a prophet matures he develops an established record of "success", and this provides a basis for accepting his prophecies of more distant events. This record of success provides us today with our basis for accepting the written scripture of the prophets of the Bible. (When assessing "long- distance" prophecies, they should be consistent in their character with those on which the prophet's reputation for reliability rests, and with scripture and the utterances of other reliable prophets. Continuing testing is essential, as it is all too easy for pride to lead to a prophet becoming deceived.) King Jehoshapat recognised the importance of using a proven and recognised prophet when he had an important issue to resolve (2 Kings 3:12). However, when God speaks to outsiders, with a view to calling them to repentance, as through Jonah at Nineveh, the reputation of the prophet may not be known to his hearers. In such a case the hearers may be convicted in their hearts by the truth of the message combined with their existing knowledge of God (Romans 1:20) and their own sin - compare John 16:8. As Jeremiah 28 implies, other scriptures show that the test of fulfillment applies less rigidly to messages of doom than to messages of peace. Jonah was reluctant to go to Nineveh. God had given him a clear and unconditional message of destruction, but Jonah knew that God would relent if Nineveh repented. This would seem to make him a failed prophet (cf. Jonah 4:3). However, implicit in messages of judgment is that God may change his mind if there is a sufficient change of heart in those receiving the message. This can never be presumed upon, and it should not be assumed that God will always change his mind even if people do repent: sometimes the sin has gone too far and the judgment is already certain (e.g. Ezekiel 33:27-29,33). What Jonah's example does show is that prophets who bring a message of judgment which causes people to repent, with the result that God's judgment fails to occur, are not thereby to be judged to be false prophets. False prophets speak smooth messages which are what people want to hear(Is 30:10). Prophets who divine for reward (Micah 3:11) always give the desired message: how else will they get paid! We should be wary of those who make their living as prophets. Unlike true prophets, false prophets can be manipulated by others. The king's messenger commanded Micaiah to speak "good" to the king like the false prophets (1 Kings 22:13 & 2 Chronicles 18:12). Micaiah's answer in 1 Kings 22:14 that he would speak "what the LORD says to me" is characteristic of the true prophet's attitude. False prophets artificially enhance their "status" as prophets, and try to look the part. In order to deceive, they present themselves in the way people expect prophets to dress and behave (Zechariah 13:4; Matthew 7:15). True prophets just regard themselves as ordinary people whom God has happened to send with a message (cf. Amos 7:14-15). Unlike true prophets, who are routinely persecuted (Matthew 5:12; Jeremiah, Matthew 23:31,34), and not accepted in their own country or own house (Matthew 13:57), false prophets are well thought of and praised. Widespread praise and adulation is a clear sign of a false prophet: "Woe to you when all men speak well of you" (Luke 6:26). Irrespective of what they may say, false prophets seek to turn people away from God, like Bar-Jesus, a Jewish false prophet, in Acts 13:6-11: he tried to turn the proconsul away from the faith - until he was blinded by Paul. False prophets are found amongst people whose attitude towards God is generally rebellious(Is 30:9-10, compare Jeremiah 5:31). Because rebellion characterizes the last days (2 Thessalonians 2:3,7), there will be many false prophets in the last days (Matthew 24:11). These will show great signs and wonders, almost to deceive the elect (Matthew 24:24). An evil generation seeks a sign (Luke 11:29), and there will be no shortage of false prophets to supply them. For this reason we must eliminate all our own rebellious attitudes towards God, and be more wary of present day prophets and test them more carefully than ever before. Jeremiah 23 gives the clearest view of the process of obtaining true prophecy. The true prophet gets his message directly from God by standing in his council chamber and listening attentively, and putting that word into practice in his own life(Jeremiah 23:18). The basic message any true prophet was getting at that time was Jeremiah 23:19-20. Remarkably, Jeremiah 23:22 tells us that even these false prophets could have got the right message if they had bothered to go into God's council chamber. All true prophecy therefore depends on spending time with God, not talking, but listening and obeying. True prophecy is a gift of God (1 Corinthians 13:2) - not something generated by man but given as men are moved by Holy Spirit (2 Peter 1:21). The false prophet relies heavily on dreams or visions of his own mind (Jeremiah 23:25, see also Ezekiel 13:2): such visions are easy to obtain and require no change of attitude or obedience on the part of the false prophet. God's word has nothing in common with these dreams (Jeremiah 23:28). God's word is like a hammer and a fire which breaks rocks in pieces (Jeremiah 23:29), because it deals with the hardness of men's hearts (1 Corinthians 14:24-25). False prophets also steal God's words from other prophets (Jeremiah 23:30). Jeremiah 23:33-40 forbids use of "the burden of the LORD", because this terminology provided an easy cover for the false prophets to express their own ideas. "Burdens" which a prophet feels may have a variety of origins, whereas to declare what the LORD has spoken or answered (Jeremiah 23:37) can only be done by one who really has been in God's council chamber and heard God speak. 1 Corinthians 14:29-33 gives instruction about how prophecy is to be presented to the church and demands that it must be tested. Everyone is to be quietly attentive, and not distracted (implied by the "sitting by" in 1 Corinthians 14:30), and everyone is to weigh (i.e. test the value of) what is said (1 Corinthians 14:29). This is not a private matter for each individual (cf. 2 Peter 1:20-21) but a matter of public discussion, and possibly even vigorous debate (as in Acts 15:1-29, esp v7). It is only as all the issues are examined and compared that a right assessment can be arrived at (Proverbs 18:17; 27:17; 11:14). 1 Corinthians 14:29 says that there should be (at most) two or three prophets who speak before the formal process of assessment takes place. Since an unlimited number of prophecies may be heard in the meeting as a whole (1 Corinthians 14:31), Paul probably had in view a situation where these two or three speakers address the same issue, and speak immediately one after another, giving way according to the principles of 1 Corinthians 14:30. After they have spoken, the meeting should pause to examine, test and debate what had been said. Only then may it move on to the next business. This process is very much like the conduct of a modern business meeting (we may note that "fellowship" was the contemporary Greek word for a business partnership). The idea that anyone should be allowed to address the meeting without such a review is alien to Paul's thinking. The objective of the testing process is to establish what is true and worth keeping, and to sift out the rubbish. All sides of the issue are open for exploration during this process, and every person is responsible to assess the material in the light of the evidence presented. Everybody must think the issues through. The potential for conflict inherent in this process is important in making people think: thinking issues through is essential for a solidly based faith which can survive persecution (compare 1 Timothy 1:3-7). 1 Corinthians 14 gives the impression that this methodology was to be used not only for assessing prophecy in the narrow sense used in this paper but for testing all utterances and teachings. 1 Corinthians 12 makes a distinction between prophecy as the "manifestation of the Spirit" (1 Corinthians 12:7), and the ministry of a prophet (1 Corinthians 12:29). The prophet is one who has a call from God to that function, and has established a reputation as a reliable prophet. By contrast, any christian may be used to give a manifestation of prophecy. But according to 1 Corinthians 14, both what is said and the speaker's spiritual condition at the time the prophesy is given need to be examined in either case. We may note how this good example of handling a controversial prophecy contrasts with the attitude of Pashur in Jeremiah 20:1-2 (he attacked the messenger), and that of the king and his council in Jeremiah 36:20-26 (they ignored the warnings and the king destroyed the message). A heavy judgment fell on them because they rejected Jeremiah's true prophecy (Jeremiah 20:3-6; 36:30-31). From these passages, and particularly from Jeremiah 26, three main features emerge. Firstly it should not be overlooked that the assessment of prophecy is a trial: the prophet and his prophecy, and also the hearers, are all on trial. Secondly the truth of the prophet is revealed by how he conducts himself when on trial. Thirdly the truth of the prophecy is tried by reference to scripture, and to the testimony of other (reliable) prophets. Jesus tells us that the test of the true nature of a prophet is his fruit (Matthew 7:15-20). Note that Jesus emphasizes that the nature of the prophet's heart is the thing that matters - inwardly the false prophets are ravening wolves (v15). The fruit which Jesus speaks of is not to be measured in terms of the numbers of people the prophet affects or his "success". Success is the criterion by which false prophets choose to judge themselves, but Jesus emphatically rejects those who seek to stand on such ground (Matthew 7:21-23). Does the prophet have an upright moral character consistent with his message (contrast Jeremiah 23:14)? Does the prophet exhibit the fruit of the Spirit (Gal 5:22-23), especially when he is, like Jeremiah was, under the pressure of a difficult trial? Defensiveness, fear or aggression are bad signs: they show a lack of faith - and we are to prophesy in proportion to our faith (Romans 12:6). The prophet is also revealed by the nature of his wisdom (James 3:17 (e.g. Jeremiah 26:12-15), contrast James 3:14-16). This overlaps with the fruit of the Spirit test, but applies particularly to how he conducts his defense. Does the prophet believe his own message: is he living it out himself, and acting on it? - preacher of righteousness Noah built a boat! Is the prophet's message one to encourage holiness of life, separation to God and exaltation of the Lord Jesus Christ? - for, "the testimony of Jesus is the spirit of prophecy" (Rev 19:10). Of course, where the prophet is well known, all these attributes are subject to continuing assessment by the fellowship. It is on these factors that the character of an established prophet rests. Does the prophecy conflict with scriptural teaching or prophecy? Is the prophecy consistent with the prophecies of other (reliable) prophets. Is the prophecy merely a rehash of one borrowed from someone else? (Jeremiah 23:30) - such are false. Does it make clear predictions that can be tested for fulfillment? - what are they? - what will be the proof that they have been fulfilled? - Are some likely to be fulfilled almost immediately? - Are these immediate predictions in fact fulfilled? Is the prophecy so vague and generalized that it is incapable of being proved true or false? If so it is useless - and false (God is not vague and muddled!). Does it achieve anything? Is capable of being acted upon, or at least forming a basis for action? If not it is useless (and probably false). Note that the requirement in 1 Corinthians 14 for prophecy to "edify" (Greek: "build up") is exactly this criterion. Paul wanted prophecy which would "build" the church (cf 1 Timothy 1:3-7). Is it an unconditional prophecy of blessing? - then it is probably false, especially if, as is so often the case, the meeting contains people whose hearts are inclined to rebellion. When testing a prophet and his prophecy it should be realized that the fact that someone prophesies truly does not necessarily mean the prophet is himself in a right position with God. Balaam immediately springs to mind (Numbers 22-24; 2 Peter 2:15). Another clear example is the prophesying of the messengers of Saul, and of Saul himself, in 1 Samuel 19:20-24. None of these were spiritual men. When the Spirit of God came on Saul (1 Samuel 19:23-24), he prophesied and stripped off his clothes, symbolizing his spiritual nakedness. Saul was in a bad position towards God. Sometimes, as in this case, unspiritual people can operate gifts of the Spirit. Nevertheless when this happens its purpose is to reveal their spiritual bankruptcy. This probably accounts for some of the strange and unscriptural manifestations which occur from time to time in supposedly christian meetings: God sends them as a judgment, revealing to all the unhealthy spiritual condition of those to whom these things happen. So also, on another occasion, because of Saul's disobedience, it was the LORD who sent the evil spirit upon Saul which caused him to rave and attack David (1 Samuel 18:10). Someone who is consistently reliable in his prophetic utterances, and whose life is consistent with his message will become recognized as a prophet who has the word of the LORD . In Acts 13:1-3 the recognized prophets and teachers were meeting as leaders. Another New Testament example of an established prophet is Agabus. He prophesied a famine (Acts 11:27-29). The church acted upon his word, and the famine did indeed happen. Given this proven reliability Paul should have taken more notice of Agabus' later prophecy (Acts 21:10-13) concerning what would happen to him at Jerusalem. Everyone except Paul recognised the clear warning from God which it contained. (Acts 21:14). Paul went on, with the result that he ended up heeding men rather than God (Acts 21:23). It is clear that there were "professional" prophets in the Old Testament who did nothing else. Such men were particularly open to corruption, as we have seen, but some were undoubtedly genuine. God used one to anoint Jehu (2 Kings 9), for example. But for the most part God chose to use ordinary men, like Amos, who was a herdsman and a dresser of sycamore trees (Amos 7:14) to bring the messages which had lasting value. The companies of "professional" prophets, like those which king Saul met (1 Samuel 10:5ff) seem to have played a different role from the prophets whose prophesying became part of scripture. The professional prophets Saul met were heavily into music and song: they had harps, tambourines, flutes and lyres with them in order to prophesy. The prophets Saul met were apparently genuine - 1 Samuel 10:6 says the Spirit of the LORD came on Saul - but the fruit, certainly in the case of Saul, did not pass the test of time. Indeed Saul appears to have been ashamed of his experience (1 Samuel 10:16). Prophets of this type were not generally well regarded, being thought "mad" (2 Kings 9:11), even though, as in this case, their prophecies might be genuine (2 Kings 9:6-10). Although the bands of professional prophets sometimes obtained true revelation about things which were about to take place, as for example in 2 Kings 2:3,5, they seem to have been unable to discern its true import or how this knowledge should be acted upon (2 Kings 2:16). Other examples of their limited competence appear at 2 Kings 5:39-40; 6:5-7. Further light is shed on this type of prophet in 1 Chronicles 25. David made musical prophesying a formal part of worship, to be undertaken by the sons of Asaph, Heman and Jeduthun (1 Chronicles 25:1). Their task is defined by 1 Chronicles 25:6-7 - they were to be skillful songsters, to be "instructed in the songs of the LORD" (AV) or "trained in singing to the LORD" (NASB). The professional and musical prophets do not appear to have produced much of lasting value, their scriptural output being limited to some of the Psalms. They did little to stem the progressive moral and religious decline of Judah and Israel. Amos tells us that God was unimpressed with this sort of prophesying (Amos 5:23; 6:5). There was much outward show of religion and the people derived a - misplaced - feeling of security from it (Amos 6:1), but they remained dangerously self-indulgent (Amos 6:4-7, cf 2 Tim 3:1-8). The prophesying failed to address the real issues: the need for practical justice and righteousness to be lived out in every day life (Amos 5:21-24). The work of bringing God's corrective prophetic word to the people had to be done by men who spent their time with God, as in Jeremiah 23:18. In parts of the church today, worship and music have undergone a revolution. People undoubtedly enjoy the worship and feel happy singing the new songs, but the material often has little biblical content. Those who write the songs and lead the worship to various musical instruments have become prominent, fulfilling a role similar to the songster prophets of scripture. Just as in Amos' day, it is questionable whether their material is doing much to build genuine and lasting faith, particularly where it lacks corrective scriptural content. We need to return to the more solid form of prophecy, which Paul sought to encourage at Corinth, prophecy containing knowledge or revelation which changes people and equips them to live godly lives (1 Corinthians 14, esp v6, v24-25). Written and tape recorded prophecies need testing in the same way as ones given orally. However greater difficulties attach to the process. There is no opportunity to ask the prophet questions, challenge him, or to investigate his character. His success record may be unknown. The inability to do these things normally precludes even the acceptance of the prophecy for consideration, still less the acceptance of its substance. The scriptures themselves contain many written prophecies, yet we do not face quite the same difficulties with them. As large portions of scripture are themselves prophecy, the concept of writing down prophecies cannot be immediately discounted. Most scriptural prophecies were originally delivered orally, and the prophets were subject to testing of some sort by the people to whom the prophecies were delivered. Those prophets developed a reputation for a very high quality of prophecy, on the basis of which their writings were eventually accepted as forming part of the scriptures. We largely rely on this collective historic assessment of the prophets and their prophecy, though our confidence is enhanced by being able to assess their long-term prophetic performance in a way the original hearers could not. Sometimes God required His prophets to write down their prophecies. Jeremiah was given specific instructions by God to write down the words God had spoken in a book, because his words were to have application beyond his lifetime (Jeremiah 30:2). Again, in Jeremiah 36:2, Jeremiah was commanded to write all the prophecies he had given up to that point in a book (through Baruch (Jeremiah 36:18)), so that Baruch could read from it (Jeremiah 36:10). This book was taken to the king (Jeremiah 36:21), who burned it (Jeremiah 36:22-23), after which Baruch rewrote the book at Jeremiah's dictation (Jeremiah 36:28,32). Jeremiah recorded his prophecies quite a long time after his first prophecies were given, and the record is probably in the nature of a summary. The substance of Jeremiah's prophecies is very much the same throughout. Many people had heard him speak, and he was very well known by the time he wrote them down. All those who first read what he had written already knew him well, and had previously heard him speak. Everyone of them had had the opportunity to assess Jeremiah's character and ministry. The king's attitude in destroying the record, although he made a wrong assessment, and the response of his counselors, provides ample proof of this (Jeremiah 36:11-26). Our own independent ability to assess the scriptural prophecies is confined to their long-term fulfillment, something the original hearers and readers could not do. This basis of long-term fulfillment gives us confidence in these prophets and their prophecies, and why we use these writers as a touchstone against which to assess other teachings and prophecies. Because long-term performance is our only direct test of the written prophecies which form part of the scriptures, the way we handle scriptural prophecies cannot provide a methodology for assessing current written prophecies. More relevant are the recorded occasions when biblical prophets themselves used written communication , for purposes other than to put their prophecy "on the record". Elijah sent Jehoram a written prophecy 2 Chronicles 21:12-15 (Elijah was well known to the king). Jeremiah sent a letter to the captives in Babylon (Jeremiah 29:1-28), who had heard him prophesy prior to their captivity. The various apostolic letters derived their authority from the existing reputation of the apostle. In every case the reputation of the prophet was already well known to those to whom the written prophecy was delivered. From the above considerations, written prophecy today is only a viable option where the prophet is already well known to the target audience. Otherwise the prophet and his prophecy cannot be tested. This would appear to preclude the publication to the general christian public of books or tapes containing prophecies. Written or taped prophecies for limited circulation amongst those who already know the prophet, particularly where they record a prophecy given orally and subjected to testing by a group also known to the target audience may be acceptable in some circumstances. Those who distribute such material need to be certain that God wants the prophecies circulated more widely than to the original group to which they were given, and that their distribution will not give such prophecies a greater status than they merit. how the prophecy was tested and the issues raised during the discussion of the prophecy (cf. Jeremiah 26:19). Material which tends to adulate the prophet, or bolster his reputation must be avoided: any emphasis on the man is a sure sign of false prophecy (Acts 16:17). Tape recorded prophecies, whether audio or video, raise much the same difficulties as written ones. Tape has the advantage that the way the prophet delivered his message is available for assessment, but the other information the recipient needs in order to assess the prophecy is more likely to be overlooked. Every prophecy, whether it be true or false, brings both the prophet and his hearers to a place of judgment. A process of careful assessment, amounting to a trial of the prophet and the prophecy, is required in order to avoid rejecting a true prophecy or accepting a false one. This process has been considered at length in this paper. True prophecies are given by God to those who spend time listening to Him. True prophecy, and any associated signs, must always fulfilled, unless the prophecy is of judgment and the hearers repent. Fulfillment is the primary sign of true prophecy. Prophesies recognized as true must be believed and acted upon. False prophets speak from their own imaginations and are self-important. As their attitudes and words are dangerously destructive, those who bring false prophecies are to be dealt with severely. The church should avoid being side-tracked by the attractive material produced by "songster" prophets: the scriptural precedent is that such material does not prevent God's people drifting into apostasy. Tape recorded and written prophecies need to be assessed in the same way as oral ones directly given. The difficulties involved confine their circulation to those who already know the prophet and his prophetic record well. Even then, the context of the prophecy needs to be clearly stated and an account given of the testing process it received. These notes are not comprehensive but should stimulate personal bible study. Every effort has been made to be accurate, but the reader should test everything in accord with the example of Acts 17:11 and the command of 1 Thessalonians 5:21. Errors, or queries which are unresolved after consulting the LORD, should be referred to the author: R H Johnston. © R H Johnston 1996, 1997, 1998. This paper may only be copied in its entirety for private non-commercial use. All other usage requires the written permission of the author.